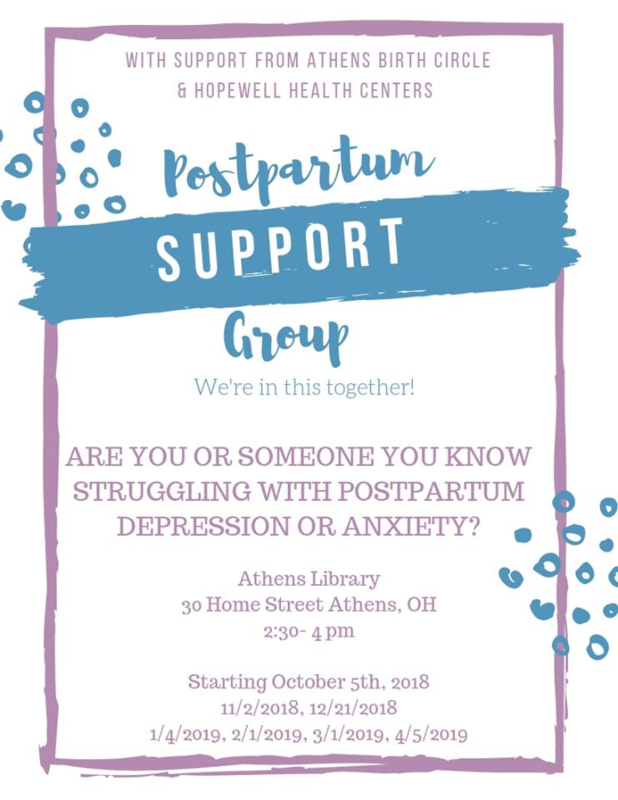 There will be a Postpartum Support Group for Moms that are battling the blues, blah’s, and the super hard stuff. Those who wish to will have the opportunity to share their postpartum story and create a circle of mutual support with other Mamas who are struggling during this intense time. A representative from Hopewell Health will be available at the meeting in addition to mom – to – mom support. Please feel free to share this!